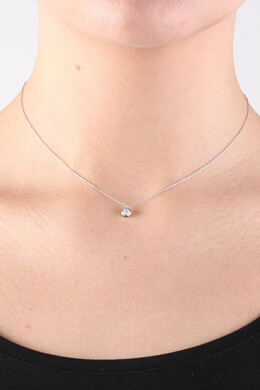 Our exclusive Sterling Silver Collection: Fine and delicate short necklace in Sterling silver. 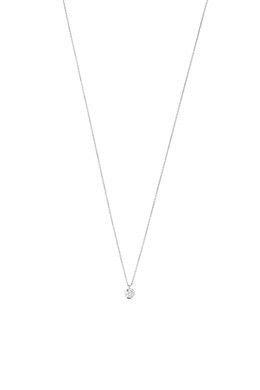 The necklace has a tiny dome shaped pendant set with tiny white cubic zirconia crystals from Swarovski. Chain length: 40 cm with extension and lobster closure.